I want to share with you a book that has absolutely changed my life. It’s called The Life Changing Magic of Tidying: A Simple, Effective Way To Banish Clutter Forever by Marie Kondo, the creator of the KonMari Method. As the title says, this is a very simple (though not easy) way to get to the root of your clutter problem and help you to resolve it once and for all: If you don’t love it, don’t keep it! Piles of stuff in our homes are one of the greatest stress triggers. Clutter literally increases your cortisol level! When we have a lot of clutter in our homes, it has the effect of distracting us and can even cause chronic restlessness. When you reduce the noise of the things around you, you can focus on creating your life. For most of us, clutter accumulates over time. We don’t notice how much stuff we are accumulating until we hit a breaking point. Sometimes it’s a major life event — such as a move, death, marriage or divorce, or even changing jobs – that forces us to declutter so that we can move on free from the weight of objects that have outlived their usefulness to us. Marie Kondo has been a “tidier” since the age of 5 and began studying the art of tidying seriously when she was 15 years old. Today she owns a business in Tokyo where she uses her KonMari Method to help people transform their homes into peaceful, inspiring spaces. It took her much trial and error, which she shares in her book. And it’s amazing to me that I – and probably you too — have been approaching tidying the wrong way. Once you are done discarding, Ms. Kondo then teaches you how to organize. Again, there is an order and simplicity to this and everything has its place, even the items in your handbag! One of my friends told me that emptying her handbag every evening has been one of the most transformative aspects of this experience. When everything, including the items in your handbag, has its place, it’s virtually impossible to let clutter take over again. I haven’t gotten to the handbag yet. But I absolutely love what has happened in my drawers and closets! The KonMari Method also teaches you how to store all items of the same type in the same place so that things don’t become scattered and lead to more accumulation. Once you learn proper storage methods you will not only be organized, but you will save money because you won’t spend it on buying special storage items and gadgets. All you will need are drawers and boxes. Ms. Kondo prefers shoe boxes! If you have been holding on to things for emotional reasons, then the KonMari Method is perfect for you because it calls for you to rely on your intuition and honors how you feel about your possessions. As such, there is no reason not to begin decluttering immediately. The great thing about the KonMari Method is that you don’t have to follow rules that don’t suit you, such as “if you haven’t worn it in a year, throw it away,” or “seven jackets and ten blouses are the perfect number.” And the best news is that, at the end of the process, you are left with only the things that you love. This allows you to cultivate a new relationship with your belongings. And remember, getting rid of things through thrift shops, charities, or recycling does not mean you are throwing away the fond memories you may have or giving up your identity in any way. In fact, allowing unused possessions to leave your home quite literally liberates their energy —as well as your own. When you are surrounded by things that are a direct extension of your essence, you will truly have come home to yourself. And, you feel healthier and more vital. The KonMari Method is a wonderful way to organize your home and free yourself from clutter. But, if you can’t even begin to wrap your head around letting go of anything, you may have a hoarding disorder. Hoarding disorders range from mild to severe. Personality types that are typically associated with hoarding include indecisiveness, procrastination, perfectionism, difficulty planning and organizing, and impulsiveness. And, hoarding is often associated with depression, as well as Obsessive Compulsive Disorder (OCD), and Attention Deficit Hyperactivity Disorder (ADHD). About 1.4 million U.S. adults are hoarders. Unlike collectors, who display their items for others to enjoy, hoarders are driven by fear to accumulate things, thinking “I may need it someday.” Even if a particular possession does not give them joy, or has little monetary value, hoarders worry excessively about with parting it. Their belongings make hoarders feel safe, and getting rid of possessions causes undue stress. Children begin collecting things around two years old. By six years old, about 70% of children are collecting and storing things. Hoarding behavior usually starts between the ages of 11 to 15, and it tends to get worse with age. Hoarding is more common in older adults. If you have a family member who has a hoarding disorder, there is strong likelihood of developing the disorder yourself if this family legacy is not uncovered and healed. In addition, some people develop hoarding disorders after experiencing trauma or a difficult life event that they are unable to cope with, such as divorce or the death of a loved one. Because hoarding can range from mild to severe, it may be difficult to know if you have a hoarding disorder. You feel that you need more space. You have a build-up of clutter to the point that much of your space has become unusable for its intended purpose. For example, you may have difficulty accessing your stove or refrigerator, making it difficult to prepare food in your kitchen. Or, perhaps you have a guest bedroom that is always piled high with things so that you cannot invite guests to stay there. You collect things you don’t need. You are constantly acquiring things for which you have no immediate use. This is usually the first sign of a hoarding disorder. It may begin as early as the teenage years. These items gradually accumulate in your living spaces and may include magazines, clothing, or items of sentimental value. It may also include unsanitary levels of trash or food. In addition, it may include having too many animals. You have difficulty organizing. Hoarders often don’t have the ability to organize, categorize, and make other decisions involved with decluttering even a small space. If you are a hoarder, you may even lose things in the clutter, and still not be able to sort through. This is usually coupled with an inability to discard items you aren’t using or enjoying. Your relationships aren’t working. Hoarding is a private behavior. Many hoarders live in isolation because their possessions can cause feelings of shame. And, often hoarders don’t want others touching their belongings. Hoarders may try to hide their clutter by shutting off areas of their house, or keeping people out of their homes completely. You can’t pay your bills. Hoarders often don’t pay their bills. This is usually not due to lack of money, though hoarding can drain your bank account. Often, it has more to do with not being able to locate your bills and keep track of what you owe due to clutter. You don’t maintain your home. Because hoarders are uncomfortable with people entering their homes, they often do not take care of normal repairs and maintenance such as leaky faucets or roofs, broken toilets, permanently stuck windows, and more. When hoarding becomes extreme, items may pile up to where you have blocked doors and windows, posing serious safety and fire hazards. You’re suffering from preventable health issues. Hoarding can also lead to respiratory issues. For example, dust, ammonia from decaying garbage, and mildew from food that has turned bad can contribute to allergies, asthma and other severe respiratory problems. When there is poor sanitation due to animal hoarding or other lack of hygiene, homes may become infested with flies, cockroaches, and even rats which can spread disease to both animals and humans. Excessive amounts of clutter can also contribute to accidents, such as falls. You’re unable to care for dependents. Improper care of dependents, including children, elderly adults and pets due to hoarding behavior may put you at risk for legal recourse. For example, you could face fines, misdemeanor or felony charges resulting in forfeiture of animals, and even imprisonment. You have other problems in daily life. Hoarders may suffer from loneliness and even mental disorders, including depression. They often perform poorly at work and may have legal troubles. We all have clutter pile up from time to time. The KonMari Method is a wonderful practice for those of us who just need a little help making our living space and lives better. And there are also professional organizers who will work with you on this issue. These individuals can be a Godsend, and have been for me personally. But, if you have a hoarding disorder, this method is not going to help you. And soon your belongings will prevent you from leading a healthy and safe life. Hoarders typically don’t seek help for themselves. However, if you suspect a loved one is a hoarder, encourage them to seek professional help. There are therapists who specialize in hoarding and related disorders. And there are many online resources and support groups for hoarders and their families. Do you or someone you know have a hoarding disorder? Please share your stories with me in the comments section. My daughter thinks I am a hoarder, and after reading this I fear she may be right. My parents were, to some extent, and I seem to fit many of the symptoms. I have lots of sentimental things, and others that I paid too much for to just discard. I have recently posted about 50 silk blouses that I can no longer wear, and have not had even one inquiry. They were expensive! the others I have accumulated are antiques, same thing. Hard to get through things now that I am 70. I would suggest checking if there are any consignment stores near you. Even theatre companies/drama schools/amateur theatre clubs, universities may need clothes for their wardrobe department, as long as you can give sizes, brief descriptions, etc. Even other things (purses, shoes, coats, furniture items) for props, if you can list them. Look up places – a simple phone call may get some results. Or check local online ads for “items wanted”. (If you aren’t comfortable with having people enter your home, you could put the neatly folded “lot” of blouses into a bin or 2 so that someone can pick up to check thru & decide what they can use.) That’s just a suggestion – I just saw this page now. My mother, father, stepmother, grandmother, uncle and cousin are all hoarders. It’s funny how they all see it in each other and never in themselves. Spending my early years in hoarding households has made me hypervigilant to the behavior in my own life. I used the konmari method before and after a move and loved it. I encourage everyone to do it twice in a row. It’s amazing what happens the second time! You’ve inspired me to have a second round! Thank you! Thank you so much for sharing your wonderful wisdom with us! Much love and gratitude from Spain! My daughter introduced me to the KonMari Method a year ago. There is elegance and peace in my life now. Which is the best book to read and understand the Konmari method effectively? Hire a personal organizer.. a professional. Most will work only about 3 hours at a stretch because they know how very tiring it is to get rid of stuff! My father in law recently moved in with us, in shifting his belongings it became very clear he is a hoarder. He is a retired Doctor and so has alot of paper along with alot of other “stuff” Consequently I have been doing research on the topic and how to handle it. Lets just say there seems to be no easy way to approach it and it is challenging and hasn’t gone well. Your article is very clear and concise and helpful. Thanks! To try to change anyone other than ourselves. Just be straightforward with your mother and tell her you will no longer participate in her behavior or approach if it bothers you..
Wow, what a powerful and beautiful response. A lightbulb just went off in my heart and mind after reading this. Thank you. Christiane I have doing this now for years. Of course my boxes aren’t as pretty but they serve the purpose. I now roll most everything when it is put away. A lot neater and it takes so much less room. Little did I know there is a name to my method! 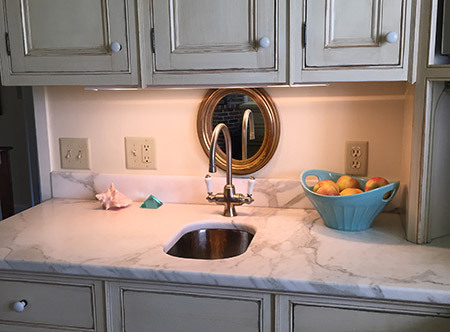 This is funny– I just looked at my kitchen counter “before” and “after” on this blog post. It is now BACK to the “before” picture. I have to take a dose of my own medicine now. It’s time for another pass through. And I realize it is always like that– a process– not an event. And , like dusting, tidying up is something that must be done routinely!! This sounds so familiar after reading what the causes are behind the hoarding as a few relatives have a hoarding addiction which only recently been resolved due to some emergency circumstances. We had to sort out the clutter in order to refurbish the home, there had to be a clear pathway for those who come to repair the place which have been left for many years! I have a mild habit which may have been picked up from my family but often if I feel something that are not needed, it usually be donated to charities, recycling and foodbanks. Occasionally I do have thoughts about giving something away and feel regret of doing so, having to hold onto the object for so long. It is like I have lost something so precious, my life maybe in danger at anytime soon but nothing happens, it’s just me thinking too much of it! I have to read up about this method of decluttering, as for professional help, it will take some time to persuade my relatives to seek it because they deny having the problem. Denial is ALWAYS a huge part of ANY addiction. I myself have a slight tendency to hold onto things a bit longer than I should. However– if I died today, my kids could probably clean out my house in a day or two. My goal is more clear space on the counters. And the closet could now use a re-do too. My sister is a hoarder and my family is very worried. On the outside she has a great job, makes tons of money, travels to amazing places, goes out to the best restaurants, so it is all very hidden from the world. (Her Facebook posts might make some jealous). Her house is a scary place. It smells, there is garbage everywhere, her stove and microwave are broken, piles of magazines, empty bottles, cans, papers, etc. She keeps buying and buying and LOVEs Amazon and gets more stuff delivered everyday. And although she makes great money, last year she almost lost her home because she never pays her bills. We want to get her help but don’t know where to start. Can you provide the links to the resources to help? Do we have an intervention? Will she get very mad when we try to help? It’s so much more intense than just clutter. It’s a true mental health disorder and thank you for addressing it here. But how to approach her with the help she needs is very sensitive. What if she gets so mad that she cuts us off – then we worry that it will only get worse. Any advice would be super helpful on HOW to approach this very sensitive subject. We all like a tidy, organised home but unfortunately we have to live in it. This is nothing new, we tidied and decluttered for years and still do – when we are expecting guests. We still try and keep on top of things, but life gets in the way, which isn’t a bad thing. As for the before and after pics of the sink area (above). We all have examples like this. See The House Doctor on TV, she does a great job and has great tips. My favourite saying is “ Let it go” why? Because it’s all about me .. I love your story and your right , it’s great to have a tidy home, but I want a home filled with love and laughter , my house won’t fall down cause I’m in it. And mess in a home can be easily cleaned up when everyone is gone. Only to start a new day. How can I get the free audio book offered on your site? I chose the NOT NOW option by mistake. I’d love to listen to it. I am ready to clear the clutter and clear my mind! Please check you inbox for the Welcome Email. Does this work for guys? I do not see why it should not. Go for it. It absolutely works for guys. It also works for 3-year-olds, large families, single people, retirees, and college kids. The “guys” don’t talk about it as often, and they don’t usually join groups to discuss how it works, but if you read it and follow it, it will absolutely work for you. so I’m 13 and I am interested in doing this. I’ve been decluttering since I was about 11 or 12 and minimalism is really important to me because I know I am growing up and don’t need all the things I have now so I need to get rid of them and it is really hard for me especially with sentimental items. do you have any tips for getting rid of pictures, stuffed animals, clothes that don’t fit, etc.? I am also your age and I’ve been doing this since 8 and no you’re not. I sometimes find myself holding things on from childhood and my tip to you is just get rid of it! I’m currently reading Marie Kondo’s books. She states that people as young as three are able to feel whether or not an item sparks joy. Her method is more about surrounding yourself with things that bring you joy than it is with discarding per se. Her advice for sentimental items reiterate that you should keep those that truly spark joy. Other tips I found helpful were that you are creating a space for yourself now not a space for who you used to be and that something like a letter, for instance, had a purpose to bring you a message when it was given and you received that message, therefore it has already served its purpose. I’d highly recommend getting “The Life-changing Magic of Tidying Up.” I got it in audio book form from my local library using the Hoopla app, all free. I hope this helps! Replace Old Stuff with Digital Photos! When an ultimately useless item holds sentimental value, I find it helpful to take a (digital) picture of it and then say goodbye. That picture will evoke the same memories and sentiments the original object did, and won’t take up any physical space. You can always delete those photos later if you get more comfortable with parting fully with the object. Just make sure to keep them organized on your computer so you can easily move them onto a new one and they don’t just create digital clutter! And back them up online as well in case your hard drive crashes. I had a pair of shoes that I did a lot in that I remember fondly, and wore them until my toes were sticking out the front! I was in a foreign country at the time, so I probably really confused the locals by being a tourist but looking completely destitute. 😛 It was clearly time to let go. I took a few shots with my camera, thanked them and said goodbye, then threw them out. Never regretted it. Same idea with the pictures. Scan them and save them on your computer. Keep them organized so it’s easy to go back and look at them or move them to a new device. Honestly, online backups aren’t super important for pictures of objects, but you’ll definitely want to make sure your scans of photos are backed up! You can use a free service like Google Photos for this. Such a great comment. You’ve given me exactly the inspiration I need to take pictures of some of the things my children ( now adults) gave to me. And get rid of the originals. It’s long past time!! I need as many reminders as anyone!! Clutter is taking over. If we ever move, I’d freak ouy! This is awesome. I have learned a lot of things through your post. I am glad to visit your blog ! from this I can get some information that I didn’t know before. You made my day. LOVE that I used the KonMari method a couple of years ago and my drawers are still tidy and beautiful ‘rainbows’ of color organization! When I did the intital sorting- I posted the pounds of clothing (it was surprisingly huge) that I got rid of each day. I didn’t dare go back into the bags to count the pieces, because I know myself: I would have pulled a bunch of stuff back out. And, I haven’t regretted (nor do I remember) anything I got rid of! Ultimate success. I actually Listenedd to the book, which was helpful. I was a bit turned off at some of her ideas, but kept listening. About halfway through (maybe less) I just started. I purged and touched and felt the love or not, while listening to the rest of the book. It was like having someone there with me – encouraging me to continue. This sounds great! I need this book. I think I’m going to get it. I even use 1800 got junk and still have too much junk. Anyone know how to deal with the categories if you have two homes. Our two places are about 100 miles apart and we spend time in both places. I am thinking I should bringvall my clothes to one place and go through them. Then after discarding, decide whatvwill live where. A number of years ago, I started asking whoever was nearby to take my picture whenever I wore something that I really loved. Then when it “became too small”, I wasn’t tempted to keep it “because I might can loose weight and get back in it later.” After all I had a picture of it when I was just that size. The truth was that for many years I was a bit underweight and the chances of me staying that way my entire life wasn’t likely, and not really desirable. But even with that fact, it is still hard to get rid of something you love even if you can no longer wear it, but the picture preserves the memory without taking up space in your closet. You are able to keep your kitchen counter clear? It is a daily morning ritual for me. Everything gets dropped there. I do love the folding technique. Excited to tackle my cami drawer. I am a clutter magnet. My house makes me crazy. But at the same time, I am the only one who is crazy over it. My kids and husband don’t particularly care. We have tried and tried to work out handling the household responsibilities and it goes out the window in a week. I feel like I am the only one who ever does anything. Then there is my husband who is on the verge of being a hoarder. I can’t even clean out the garage to move things from the closet for extra space to store things (inside our home we have only bedroom closets for storage). I WANT to do this, but don’t know how to get my family on the same page. Any suggestions or fellow sufferers? I just feel overwhelmed. My husband is like that. I would ask him to spring-clean his wardrobe, and he will entertain me by throwing out two items. His closet is more packed than mine. So I de-clutter my areas of influence – my own wardrobe, my daughter’s (but she’s only three so still under my “control”), the living room, the kitchen… essentially the whole house. I leave him with his own areas. This way, at least some parts of the house are clutter free. When my husband saw how much better the house was he allowed me to go through his stuff. I wasn’t allowed to throw anything away but when I presented him with a pile of clothes, for example, he would pick out one or two things he wanted to keep. I’m not supposedto choose for him but as his wife I know what he wears and what he avoids wearing and why, so it wasn’t difficult. I took two carloads (all back seats down) to the tip and anothercar load to give away. Our houseis small and we are only two people! I completed about 4 months ago but I need to do it all again, I haven’t reached my click point yet. I am having the same issue. In our home we have only bedroom closets as storage as well! Unfortunate for us, the builder didn’t think in to add a hall closet, linen closet utility closet, or kitchen closet. I feel ya! My hubby also is on the verge of being a hoarder And our garage has no space to put anything! I wish I had some suggestions for you. But I don’t … I am searching myself! You aren’t alone. Marie Kondo suggests that you never throw away other people’s stuff, only your own. I stuck to this and Yes, all the other members of my family have thrown some stuff away and become tidier. Because I have thrown away so much, there is FAR less clutter in total so overall the problemis now manageable. My husband is also borderline hoarder, and we have recently downsized to a small house (about 1/3 the size of where he lived and collected for 30 years). I am not super neat, but kind of minimalist, and I just don’t hang on to stuff I don’t use or love. But my husband! Oh my, his closets (he gets two, I get one) and drawers are so full and disorganized that he can’t fit any more in them! He ends up just wearing the clothes that never get put away after laundry day (because there is no room in closets/drawers because they are full of clothes that he doesn’t wear but can’t part with… AARGH! SO! He is gone for the weekend, and I have taken it upon myself to go through his clothes and get rid of things he doesn’t wear, and organize the rest. No, I would never actually get rid of anything without his say-so, but I chose his 10 best work pants, 20 best office shirts, 15 best golf shirts, 10 best golf pants, etc., and hung them neatly in his closet. Same with drawers: only the good or favorite socks, underwear, t-shirts, and jeans get to stay. I put the rest in boxes in our fortunately large garage, and if he ever wants some item that is not in the house I will go find it for him. I’m not sure yet about belts and caps and shoes, and I know it won’t solve all the problems of him leaving his crap all over, but right now I feel pretty good looking at a neater room! I have always perceived of myself as a tidy, frugal, thrifty, essentialist-sort of person. During a recent vacation away from the kids (just the husband and I), I was led to KonMari’s book. I’d heard about her a couple of years ago, when everyone was “KonMari-ing”, but I was turned off by the idea of tidying by category. Why? It’s not like I had a lot of clothes, or books, or papers….but now I was ready to experiment. I sped through the book, feeling hugely inspired, and I started with my clothes the day after I got back. It took me three weeks to tidy my entire home, and during the process, I remembered/realized that tidying and cleaning are what I’ve always enjoyed, just like KonMari herself! Memories of my 10-year-old Self include organizing my room and cleaning the house b/c my mother didn’t clean to my standards 😉 I now enjoy a perpetually “perfect home”: clean, everything in its place. I can’t believe I live like this b/c I have 2 children (11 and 8) who could care less about “tidy”. Every morning, I get up and spend about 10 minutes tidying up what was left out overnight by the people who stay up later than I do. I must admit that I tidy (return things to their home) all day long, but I have the liberty to tidy all day b/c I am a stay-at-home and unschooling mom. I’ve inadvertently created the life of my dreams. I had NO IDEA how integral a tidy, “perfect” home is to My Ideal Life. That’s exactly what I mean about having a tidying up…. you are constantly putting things away. I get so frustrated at that because as soon as I just finished tidying up, the mail comes, my husband walks in through the door and puts his briefcase, eyeglasses, phone on my kitchen counter. I constantly put them away and ask him to put his things away… It’s tiring. This is where I fall into shoving everything in a drawer to get it off the counter. I would love to have a tidy, clean house…. but ..oy vey it’s time consuming. I will give it one more try. Try to get him involved in the process of tidying up with you. What are the things that spark joy for him? What kind of home does he envision? I got my husband involved in the whole thing. He is utterly stubborn an he still doesn’t put things where they are supposed to be. But he’s stopped hoarding things like he used to (his dad was a hoarder and he takes after him), and doesn’t fight me when I point out his mess. It takes time, but don’t so it on your own. You two are a team. It might be that there is not an easy to access “proper” spot for him to put those things. As for the mail, open it RIGHT THAT SECOND, right by the garbage can. The stuff you have to save goes in your (singular) in-box. Go paperless and pay all bills online. These tips have helped us immensely! Be grateful for having a man you love walking through your door, mail coming to your home, a job that he can go to with his briefcase, because for some these things are gone and they would love to have them back. Nothing lasts forever, appreciate even the things that drive you crazy and you might be less annoyed by them. Living alone isn’t that fun. Who knew that reading your book “Goddesses Never Age” would lead me to look up decluttering body, mind and spirit: and the KonMari Method about a month ago. I wanted to get a fresh start in my 68th year. Now, I did not have clutter per se but I did have lots of stuff stored out of sight. I followed the categories in required KonMari order and it truly works. It gave me the practice of sensing Spark Joy! from the easy t-shirts right through to the more difficult sentimental miscellaneous stuff. I now consider myself a recovering storage container junkie…The Salvation Army Thrift Shop loved those containers. Note: Side benefits from the experience is that I test the Spark Joy! feeling when shopping and mentally plan where to place the item coming into my home. I did this a year ago and purged, purged, purged. But now need a refresher course, too. It was a truly life-changing book for me. 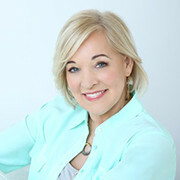 As have been YOUR books – I just finished Goddesses Never Age and am now reading your new book and am very grateful for the information and guidance – thank you, thank you, thank you – it is making my life journey an easier one right now. I started with clothes but only one skirt and one top sparked joy. The skirt was too small so it went in the donation pile. It’s impossible to live with just one top so I had to keep other clothes but I think it worked out ok. My rail looks really nice. I don’t have drawers, just a couple of boxes for underwear and sports gear. They look great too. My shopping bags are folded in the same way and cleaning cloths and towels. I love coming across these areas. My husband isn’t in to it but gave me permission to go through his stuff. I checked I wasn’t throwing out anything too important and I know I’ll have to go in and tidy occasionally but he’s cool with that. Sounds like this is working well!! Thanks for sharing. I am SO INSPIRED by your comment that “only one skirt and one top sparked joy”. The sad part is that you had so many clothes that DIDN’T spark joy, but the AMAZING part is that you’re initiating a life that reflects your joy! I’m not a fan of her folding method – can’t see how it can be done without creasing (t-shirts for example). I also have only shelving and hanging space, no drawers so it doesn’t work for me anyway. With shelving, I can still see at glance what I have (especially since I don’t have many items of each category to choose from anyway). And just having shelving and hanging space for clothes means I need less furniture (no chests of drawers or bedside tables). But I do like the idea of sorting by category rather than by room. I have been folding her way for over a year now and my tshirts are great! way better than before! And… I have more room in my drawer and I don’t have to hunt for a shirt I love. Now I love them all! I recently purchased her book and I really do like her method period for years and years I’ve been trying to organize in my home and declutter according to the rules that I keep reading another book and they just never seem to have set right with me. I have always wanted to organize by categories but no one else did they did it by rooms or closets. I’m very happy that she’s doing it by category because I think that really helps to get a great overview. I started with my clothing and have not yet finished. I have also worked on my makeup and my vitamins which are spread all over the place. I was especially surprised at how much makeup, cream and similar that I have bought in the last few years, I’ve never really used much. So now I got it all organized according to purchase date. I am having fun and it is very useful to try out the various skin care series. I have and intimidating amount of paper to tackle but I’m discovering that organizing my clothes brings me such joy that I am inspired to tackle the paper piles. Yesterday I opened my closet and I just stood there and looked at all my beautiful clothes, clothes that I like and fit me perfectly. What a joy it was to open that closet door! I hope that I will get similar results with that paper decluttering. If and when I do, I really feel that it would open up new avenues of creativity and productivity and give greater vitality! Your comment is very inspiring! I agree with you about doing the clothes first. It gives you the inspiration to tackle the harder stuff … which is the paper! I too find my closets a joy to look in.. after years and years of the opposite. Thank you for uplifting us all! I have been using this method of tyding up. However, when your spouse is not interested it becomes a problem. Any suggestions? I have a spouse that does not throw anything away. In fact, he will multiples of things and seldom puts things away. Any suggestions for this situation would be greatly appreciated. Thank you! Accept your spouse, just as they are. Wishing they were different engenders resistance that they will feel obligated to push up against, even if your wishing is unspoken. Full acceptance brings you to here and now. For help with that, look up Byron Katie’s “The Work”, and write down her exercises for that which you wish would change, or believe to be wrong. Create spaces just for your partner’s things – can they have a whole room, and shelves in each room? Not to hide their stuff – that’s an unspoken wish they were no longer here! But so it doesn’t take over the whole home. Have space that is just yours, that you can keep tidy as you wish. If their things encroach, remove them to their own space. You might want to keep one or two things of theirs mixed with yours, symbolically letting them in. Acceptance is key. When you see their things in your way or “messing up” a space, feel appreciation for the fact that they’re there, that they are alive and well enough to make a mess. See it as evidence of what they were doing, and picture them finding joy in doing that. If they hoard to the level that it’s unsafe or unsanitary, they may need professional help. I started with paper and will put off the clothing part until the weather is cooler. I have tossed some shoes and such though to get to the paper. I know that about 80 percent of my clothing doesn’t fit, so I am looking for places to consign it for money or to give away for free. I don’t think people should get hung up on the order of disposing but instead consider the spark joy factor. If I started with clothing, then I would never get to the paper process. Seeing the empty spaces from paper leaving is more inspiring than doing nothing. One funny thing is that in her first or second book she talks about bras. I have discovered that I have every bra that I have purchased since living in my current home (30 plus years) and none of them fits properly. I am talking a mountain of the things. My weight fluctuates a lot so I have a variety of sizes but most are the same brand and style number. I also have a huge variety of clothing sizes for the same reason. We wear about 10 percent of our clothing 90 percent of the time, and yes only a few things in these mountains of clothing fit me. Fortunately, I don’t have a basement, garage or attic to deal with. I don’t have a vision yet but I know I want to move and I do not want to move all of this stuff. My advice is don’t get hung up on the details such as folding but discard first. I agree about not getting hung up on the details, which is my stuck point. Trying to make the best unloading decisions, sell online to recoup some $$$ or just give to charity. A few items I gift to friends. I agree about wearing only a fraction of my wardrobe, and letting go has been easier as I streamline my wardrobe with my style. I was keeping clothes I have never worn that aren’t really my style, they aren’t ME. Getting real frees me up to be me and let go of what no longer serves me. I can relate in every way. My neighbor had a yard sale recently, and offered to include my things too. I agonized over what price to sell this and that. Once it was over and I had some cash in hand it was worth it. Sharing the load rather than doing it all yourself. Perhaps a combined yard sale, or having a friend take pictures of your items and listing them online, giving them a percentage of what sells? I have found that it’s ever so much easier to just take it all to Goodwill or the Salvation Army. I hae given myself permission to just do that, rather than go through the hassle of selling my stuff. BUT– there is no right or wrong. Oh My Goodness! It is so reassuring to read Cas and Patricia’s comments about what the best way to unload. I have been paralyzed with the right way to unload. Toss? Donate? FB post, Craigs List? This is especially true with my magazines. I even searched online for psychology of letting go and couldn’t find a thing on it. I really felt like I had a psychological issue about how to let go of these items. It is good to know that I am not alone. I had the same problem- lots of nice stuff and nowhere to take it and could not trash it. I thought about selling it piece by piece, but then it does not actually leave the house for awhile, right? I ended up taking all of the nicer clothes to my favorite consignment store- just dropped them off. Easy. If they are sold, I get a percentage. The rest (including nice magazines) goes to the Salvation Army. Best of all, everything is out of my house. It feels so good! I have been going through this process since I retired 6 months ago. I have purged a lot but know it was only the first wave. I think with each layer I release , it makes me lighter and I know I will be able to release more things in the next 6 months. I had a light bulb go off during this process. For the things I can’t release, I ask myself…’ When I am gone who will want this ?” The answer is usually NO ONE ! My children live thousands of miles away from me. It brings me joy to give these things away to friends…charity etc. It has really put me in touch with my “Urge to Purge”. More like downsizing forces you to let go of what you don’t have room for, literally and figuratively. This “love it or lose it ” method had really helped me without agonizing over decisions, it allows me to quickly assess what stays and what goes. I agree that everything needs a place that can be easily “homed”, where you can access it easily. Things that are stored I find disappear from my radar, outa sight outa mind. I was storing things that I had forgotten about which woke me up to the fact that I’d rather let it go than pay for storage. I donated my clothes category and don’t mind donating books, but what about the other high end items? Is there anyone here who has donated all their excesses, as opposed to selling them? I want to donate everything, but feel really guilty as I spent good money on the many, many hundreds of books that I have plus all the other expensive appliances, etc. I don’t enjoy having yard sales, nor selling online. All that takes too much time and energy. I’m having such a hard time getting past this, but I actually feel so weighed down with all this. Any advice? I know how you feel. I felt like that too. But I also know that I am not very good at selling my stuff – I get anxious and unsettled and it certainly doesn’t spark joy for me, so I found it a huge relief to let things go, even if they were valuable. They certainly weren’t valuable cluttering my spaces and loading me down with guilt. Do you have a favorite charity – say a women’s shelter or some group that has their own yard sales to create funds. If so – then by donating high end items to your fav charity you will liberate yourself AND help someone – giving you a greater sense of value to giving these things away. Good Luck! Check out the Buy Nothing Project. I got oodles of joy giving things away through BNP. What sites were those please?! Donna, I do not blame you! I would find a local used book store and bring everything there at once. Then take any clothes, jewelry, accessories to a thrift store, and any high priced home items list on a FB area garage sale page. Whatever is left over after a week that they do not take, donate. This way you got some money back, and peace of mind knowing the other items were not going to get you money back. I feel your pain! I have the same issue with releasing things that I have left over from my storefronts… I paid a lot of money to stock my stores, and when I had to close them, I gave much of it to family and close friends. Now, 9 years after closing my last store, I STILL have tons of things that I know I will never use, but I do not want to just get rid of, because I know how much it cost me to purchase, initially. I have been trying to donate to schools and the Battered Women’s Shelter, but even that is proving difficult. I keep telling myself that I can still make money on it by creating something and selling what I create, even though I realize it is costing me far more than the original outlay to acquire it all. This has to be one of the most difficult things I have ever had to deal with. Before you donate your items you should contact your accountant to see how you should document the items you plan to donate – for tax purposes. I can totally relate on every level. I was told that my self Value was worth more than all the stuff I had accumulated and ruminated, agonized over. Set yourself free, you are worth it! At the end of the day, stuff is just stuff. Deidra, I relate. I held onto area rugs, from our store. It was a process. About three years after having to close our doors, and subsequent financial implications, I attended a Crown Financial seminar, and the speaker said, “Open your hand.” We all did. He added, ” God puts in, and he can take out. We often want to close our fist on what we have. When we do, God can not place into our hand.” The word picture of Open Hand reminds me I am free, not tight fisted. Then I am able to cooperate with providential grace. My sense of being a failure left me….For good. I didn’t need to “rescue”, make profitable, my past. In fact when we lost “everything” monetarily, I realized what I had left was abundance, of love received, shown, and given..priceless. It still took a few more years to get rid of my area rugs though! One year ago I started decluttering with my reason Why firmly written down and claimed: To make room for new experiences and relationships. This is thanks to Peter Walsh, It’s All Too Much. I discovered through decluttering that I became truly liberated when I gave away some real treasures, no strings attached. This made me happy, to share. If I could not honour what I had left, what they represented or for what they were, it left my home. I gave myself a year. The last month I discovered KonMari, and I was “hooked on the feeling” of categories, sparks of joy solidified, and delighting in my neatly folded socks and underwear drawer! It was the icing on my cake. I have been blessed: new experiences come true, our goal and desire of our heart. We are living in my husband’s European hometown for five months now, hoping for a few years up to five or so. We need less, have our needs met, new and renewed friends, time with family AND we celebrated our 40th anniversary here in Europe. Abundance!! Although all our children are in Canada, their love and support was packed along and resides in our hearts. And yes, what we choose to take along fit in three suitcases and two carry ones, including items that Sparked JOY! PS. Yes, the contents of my transported socks and underwear drawer is in envelope perfect order. I just completed my purse basket, empty purse(s) and all are placed on the cleared out book shelf cleared out for this purpose. Who knew that this feels SO right and Sparks JOY. Oh yes, I have a few new Spark Joy things. Deidra, I am wishing you many moments of Joy. They are so worth collecting. Lighten your load and brighten another's! You could donate to a women and children’s shelter. They would be thrilled to be able to help these women out as they move forward. You should be able to call your county for contact info. Oh I love this question. At this point I just take all my high end items– including really expensive designer clothes from the past– and give them to a friend who has a sister and a bunch of daughters. They love the stuff and I get to enjoy their joy. All the rest– including a boat load of books– goes to Goodwill. Getting it out the door is incredibly satisfying. Sometimes a charity will come to your house to pick up good stuff. The Salvation Army just picked up a really good used mattress yesterday. I have also donated very expensive and unused windows to Habitat for Humanity who also picked things up. The way I figure it, getting the high end items you’re not longer using into circulation brings even MORE abundance to your door!! My greatest joy when I get rid of clutter, is to donate to a charity that gives my things away. Sometimes the thrift stores overprice things that I just want someone else to get joy out of. Never mind the money, the money is gone, spent long ago. Its the satisfaction of giving to others that is what warms your heart. I have heard of people/companies who will sell the item for you on your behalf and take between 10-20% of the sale of the item as their commission. Maybe this will help. I have donated so many high priced things including antiques and vintage items, I just take the deduction off on taxes, helps every year. Try resell stores. You just drop off items and they do the rest. They keep a portion of the price paid and issue the remaining funds to you. Hi Donna, I don’t know if you’ll see this, but if you do, you may want to consider trying Fedex or another eBay Assistant that will sell the items for you on eBay, take a small percent and give you the rest. Everyone wins that way! Someone gets an amazing bargain, you don’t have to do the selling, and if you really don’t want the money for the sold items, then you can support a local nonprofit event and see the results of your donation, or give to whatever cause your heart connects to. Hope this helps. Donate it and use it as a tax deduction. Problem solved! This is new info to me. How does one get a tax receipt for donations I wonder? Most places that take donations ask you if you want a receipt for the item you donate. Just ask them for one if they don’t. Check with family and friends who might put it to use. I donate to a hospice thrift store which is near and dear to my heart or the domestics abuse shelter thrift store. I never give to Goodwill (I’ll let you research and come to your own conclusion on why). Those donations take away the guilt associated with the money I spent on what I’m getting rid of. I do understand the idea about whether or not an item gives you joy, and feel great now half my old clothes have gones, including all those things that “will be useful for gardening” etc, but my problem is that I have a lot of old books from my Grandparents that do not exactly give me joy, but I feel that the second I get rid of them, I’ll feel terribly guilty and sad. I know it sounds crazy, and most of the books will never be read, e.g. huge thick books on Oriental rugs, Poodles, an old Chambers dictionary etc (We have plenty of dictionaries! ), but I was very close to my Grandmother and have memories of her using it to help with crosswords when I was very little. Should I grit my teeth and get it over with? These old books are exactly the kinds of things Marie Kondo is giving you permission to release your attachments to. If it helps, you can take a picture of them before you donate them so as to have a visual reminder of them. Grit your teeth and take a deep breath! Good luck! I’m not sure if taking a picture is the best course, especially for a nostalgic item. Digital clutter is also an issue. Also, I’ve seen a photograph of something I have away and it only made me sad that I got rid of it. Finally, oftentimes a nostalgic item must be held, touched, and moved around one’s hands, to be appreciated. The scent might also be part of the joy. I think paring it down to one book as has been mentioned might be the way to go. You may want to consider keeping one, maybe two of these books and selling the rest to a dealer, if they have value. (If not, donate.) Keeping things purely for sentimental reasons is a burden and weighs people down. Anyone who you were close to would not expect you to take that on. Steve, if you read Marie’s follow up book, I believe the title is Spark Joy, she is somewhat less militant. In that book she states that if something does not bring you joy but you are not in a place where you can release it for whatever reason, you may keep it but you must treat it as if it does bring you joy. Her thought it that cherished items have a different energy and if an item is treated as bringing joy, eventually they either will actually bring you joy or they will bring you to a place where you can release them. I think that if the literal dictionary sparks a joyful memory, maybe keep the dictionary and put it on a nice dictionary stand so you can see and appreciate it! Can the books be display items on a shelf and spark joy that way? I have a Standard Poodle and I think the crux of the story here was giving the items a “new life” not just throwing them away. I would LOVE the old Poodle books to display with some Poodle collectibles I have. It is kind of the same idea as taking the items to a thrift shop etc. as mentioned in the article. If you still have the books and have decided to part with them I think it would be a win/win ! We did this with a Beautiful dining table from the 18th century. It was not our style. So we put it up for sale. A lovely couple bought it and sends us pictures of them at the holidays with their family around it. It was a win win. Someone else us loving it making memories. I do also remember Marie Kondo saying (can’t remember which book though) That if you want to keep something, DO IT. Don’t feel guilty, do the opposite and display it/use it. Just own that you want to keep it, and make space in your life for it. If after awhile you recognize that it’s served it’s purpose in your life you can go through the Sparking Joy process again, and release them (or a few of them anyway) =) Good Luck doing the best thing for you! Aha! That’s EXACTLY what I wanted in my house! You’re talking about from the set of The Beauty and the Beast show. I fell in love with that room. I now have book shelves with books, and interesting objects just like that. I think visualizing exactly what you want for the rooms in your house or apartment is a crucially important step in the Konmarie process. Even so, I found I had too many books, and it was liberating to prune my collection down. Please read the book!! Ms. Kondo has a unique way of explaining how to let things go and what happens when we let these types of things go that you can’t get from anyone else giving you their opinion. Once you read her entire book, you will have the wisdom to know which books to let go and you will be at peace with your decision. Growing up surrounded by clutter and mismatched everything..I devoured this book! I am having a blast actually going through my things and getting rid of things that dont bring me joy or happiness. She has taught me so much and it all makes sense. Starting with clothes and accesories in the bedroom, making it a calm relaxing place at the end of the day will give you the courage to do the whole house. It takes time but it is so worth it! I’m obsessed with the book went throughg my clothes, got my mom to go thru her clothes and we donated 8 bags!! So exciting..started shredding papers…I’m glad that Konmari method gives us 6 months!! it is definitely a hard process but so good to see results! i loovve my drawers and looking forward to being clutter free and surrounded with items that spark joy! Marie Kondo states, either in Book #1 or #2, that a few clients have taken a full year to finish the Spark Joy declutter process. You’re not up against the clock; just up against the categories. She understands about people who work full-time, whether at home or away from home, and parents. So just work at it, category by category, until you’ve gotten through them all. I love that purging high! I love touching everything to see if it sparks joy. When I tried this, I discovered that some items I’d been saving for “sentimental” reasons sparked anger or sadness rather than joy. Strong feelings, yes, but not something I’d go out of my way to experience by keeping an object around just as a trigger. Once I weeded out all the negative objects in my space, the energy was so much better! I have been decluttering for years. It has been like taking an emotional inventory, and discovering what lurks beneath the object for me emotionally. I began the process from an interior PUSH and it has truly freed me, by decluttering my emotional self. Things that I kept out of a sense of obligation (my mother made it) I gave myself permission to release. The only gauge I used was, how did I feel when I held the item in question. My goal was to feel good…so if that item did not take me to good, it went to the charity. I know someone is happy that they bought an item I donated…and that brings me joy. Thank you for this great article. Very helpful! I very much like the book and am excited to give organizing a try according to the KonMari Method. May I ask a question, though? I understand that papers and such are recommended to be done last; however, how do you approach the home of a hoarder? Where, say, they cannot even get to the closet to find all the pants, etc. because there is too much ¨clutter¨ blocking the closets!! And, I know what she recommends if it is the clutter of someone else; but, if it is your clutter? And, that clutter is mostly paper items! Please, will you give input? Feeling stuck. Thanks. Could you start by gathering up all the paper items into one spot, away from the closets ? I don’t know where you live, but if the weather is nice outside, could you start bagging or boxing up the things in your house by category and then take it outside to sort where you have more room? Do you have family that would help you ? When the job seems overwhelming and just too much to even begin, just remember that it can be broken into stages. But if you take too long, like Dr. Northrup says, your motivation may die and then you have an even bigger mess to deal with. Dealing with the mess is the key here. Pick the item up, hold it, and if it does not bring joy, it has to go. Don’t think about it, don’t ponder on it, don’t rationalize why you have kept it for so long, or why you can easily let it go. Just let it go. Don’t hold onto something that does not bring you joy. If you cannot get to your closets, that is not joy producing stuff. That is representation of something that needs to be dealt with, and only you can begin that journey. You can get people to help you physically get to the closet and open up that area. But only you can truly open up areas in your life and in your heart. A hoard is a wall that is built for a reason. Find that reason and deal with it, and then clear it out, clean it out, and let it go. Don’t wait another day to begin this process. Good luck Susan. Hi Jo Ann — I just typed a reply but do not see it. I am hoping it is pending. Thank you, thank you!! Hi Jo Ann — for some reason my initial reply to you did not post. I will try my best to remember the wording. Firstly, I was actually worried no one would reply, and I cannot thank you enough for your kindness in having taken the time to share your thoughts. Your reply truly meant a lot to me. You were so tremendously helpful. I was beginning to think the KonMari method was more for situations which were only ¨slightly disorganized¨ until your post. Your post made me think it can be done! You gave such wonderful examples addressing both the physical and mental/emotional side of approaching it. I needed to hear those. What you said resonated with me. Please know how much I appreciate all of your help. My many thanks!!!! Thank you, thank you. Thank you JoAnn. You have shared great wisdom, very kindly. You have a way with explaining – don’t think about why you kept something. Very true. The reason we kept something made sense at the time. You shared extremely good ideas with lots of support & kindness. A journey only we can begin. Opening our hearts & our lives. To let things go – don’t wonder, don’t question, don’t agonize; just let it go. Very wise & loving & supportive. Thank you so much. Thank you for your bravery. I, too, personally know a “possible” hoarder. Me. I am very disorganized at home, very cluttered, very tired. I have a lot of stuff to be free of, physically & emotionally. You have inspired me & I will give it another try. I KNOW why those hoarding shows on TV are so difficult for the hoarder. The teams are capable of emptying a home in a day. But not sorting, donating, cleaning & keeping. I could clean my home in a day too if I simply threw everything out. Can’t. There really ARE important papers, bills, receipts, etc., mixed in with the worthless papers. I also found much wisdom & support in Joann’s answer. And of course great love from Dr. Christiane. I wish us both love &kindness!!! I was a clean hoarder it all fit in closets but I owned way to many decorations for every holiday. It took four moving trucks. It has taken six years to go through slowly and part with it all on weekends. Now it is so freeing. Now I look to constantly keep lowering the kids toys etc. we are moving to. 1000 sq foot less house. Because four of five have moved on to college etc. we are going for tiny house style living. Each person needs to organize for tgemselves. The change comes from wanting to change. Give a copy if thus book and a testimonial (your own). I grew up with hoarding. I’m no longer a clutterer, and certainly not a hoarder. To your destination, whether a closet or a hallway, is a must. If your home is blocked , you may internalize this feeling blocked too. I have so far tidied my clothing. It has changed the energy of my bedroom. I love opening the drawers and seeing everything! My husband and I sorted through all of our books. We had been holding onto books out of an old emotional connection. Letting them go has felt so much better. We have yet to store the books we have chosen to keep. They are currently sitting on a large folding table in my dining room. Progress of tidying is occurring! I love this method! It does spark joy! The book says that we must get rid of things that don’t spark joy before tidying our homes. Or must we get rid of the clothes that don’t spark joy and put them where they belong; get rid of the books, then put them where they belong etc. I am very confused about this point. Thank you in advance for your help. I’m presuming it means by category so that we don’t have the clutter of clothing after putting clothing away. Once you put your clothing away, you should be able to immediately feel the joy of the tidy bedroom/closet with none of the “negative” aspects left to do. I have just bought the ebook and am pretty sure that this will be the method for me. For years I have craved wanting to just empty out a room completely and decide what to keep from there, but found the prospect too daunting. But Konmari’s method seems really doable. One thing I have noticed though, is that her ideas of discarding things does not take into account people who have little money and for whom it can be difficult to buy clothes and shoes because of their size. I simply cannot afford to throw away a lot of clothes because I can’t replace them and I need to have work clothes that are practical and easy to launder. Also, I can’t launder my clothes every few days, because it’s wasteful to have your washing machine half full, so I can’t reduce to having only 5 shirts or something. Finding fitting shoes is hell for me, so I won’t be throwing out good shoes, even if I only rarely wear them. Oh and another curious thing. For clothes there is only talk of hanging and drawers. A significant part of my wardrobe consists of shelves. I am as yet unsure how to use the Konmari method on shelves. Folding clothes in a roll doesn’t work on a shelf. Does anyone have tips for this? That being said, there are enough useful tips for me to start doing this method with a few adaptations. While ‘spark of joy’ will not always be obvious (the clothes I would like to wear aren’t often available in my size and/or far too expensive and/or too unpractical with work and bicycle and pets), it sounds like a really good basis to keep things, so I will definitely use it as much as possible. Also, I am a bit of a prepper, so there will be moderate stocks of food, toilet paper, water, candles, etc. But they give me the joy of being prepared. And I am a crocheter so there will be stacks of yarn, and fabric for sewing. But they give me the joy of colour and texure and being able to be creative. My “fully furnished” apartment also came with closet shelves rather than drawers. We use boxes of various sizes as our drawers. Generally, we turn the on their sides and roll or fold the clothes to be neat and visible (at least, that’s the ideal, ha ha). Sometimes we have to bend the rules to fit our situation. I too need quantities of clothing as I live alone & agree with you that it is a waste to do small loads. Do keep the basics but adjust the fine details. Same with closets, drawers, & shelves. I am a big believer in doing what works for YOU. Fold your clothing in the way that works for the space & the type of clothing. You will figure it out. If plan A, B & G don’t work, try plans Q & T. Keep trying until you find your magic answer. Celebrate your joy in knowing you are prepared. It really is OK to have extra food, toiletries, paper products. Some, not rooms-full. Enjoy the colors & textures of your craft supplies. And your talent & skills. Sounds to me like they give you joy. It’s not all or nothing. Like you said, the basics are excellent. We still get to fine tune the details to fit US. Thank you for your bravery in sharing your story. You are very wise & caring. I think in the book she mentions using (shoe) boxes to fit items vertically or if your clothes are folded the Konmari way they should hold vertically (jeans for example). I used this method for my shirts and tops and love the way I can now see them all and choose what to wear more easily. My first thought is you’re making excuses… I do the same . Would you be able to wash fewer clothes more often if you did it by hand? I’m not meaning strictly by hand, either. If you do an image search on Google for “hand washing machine”, you’ll find examples of barrel-shaped, hand-cranked washing machines. I watched a positive review of one on Youtube a while back. Perhaps it would be an option. You may be able to find a used one for a good price. Also, bins or baskets that fit on your shelves could serve as drawers. Just make sure you can still see each item individually on the shelf. I have a similar question: my tea kettle, shower curtain, computer do not spark joy, but I do find them necessary. No where in the book does she seem to cover this. Part of me wonders if the Konmari method would say “throw them out and go buy ones you like”. I am an environmentalist, and often get hand-me-downs or cost efficient things that may not be beautiful. What do ya’ll think? Maybe the part that sparks joy would be the method of acquiring the item. These things are necessities, but you would not be joyful to replace them so spontaneously. Maybe the joy is found in the fact that you feel you are doing a good thing for the environment by /not/ replacing them. Also, it doesn’t have to be wasteful to replace something. I play tradesies with thrift stores quite often, donating the item that I’m replacing at the same time that I buy a new-to-me one. I successfully store my linen on shelves by standing the firmly folded items upright on one of the short sides instead of the long side. The “parcels” go across the shelf like books on a bookshelf. The taller parcels go along the back of the shelf with the shorter parcels in front. I use bookends to hold the parcels upright. It makes me smile when I open the door to my linen library. It sounds like there may be exceptions to Kondos rules, to a point. Beware of over rationalizing as it can take on a life of its own. As long as you keep what you feel you need in proportion to your needs and not excessive or copious amounts. I just picked up Marie Kondo’s follow-up book “Spark Joy”, which covers questions that arise during tidying (thanks to Vasiliki, Patricia & Erica who helped with their responses to my questions). It also goes into recognizing what sparks joy in you. What I find most encouraging is the stories of women who have decluttered, no matter which system they use, and then see clearly what it is they want to do with their lives. I do believe that clutter, even when confined to closets or other storage areas, is a burden that drains us of energy, and keeps us from finding ourselves. May everyone find clarity and room to breathe! I had the same issue, amazed that I had 15 different color t-shirts, all the same style. But I do wear them, and once they are folded into these neat little “packets” and placed in a drawer – it makes me happy every time I open that drawer! To have a drawer look that organized has such an uplifting and calming effect! In effect, therein was the joy. I read Marie Kondo’s book and I appreciate many of the basic principles behind the KonMari method, but it is simply too OCD for me. Come on. Removing everything from my purse each day, just to put them back the next day? Or putting away everything in my shower each day? Seems pretty over the top to me. When I did my clearing and organizing (over the course of a couple of weeks – not months), I asked myself if the item brought me joy or if it was useful to my daily life. I’m happy with my results and I have been much more mindful about keeping my home clutter free, but I have no desire to adopt all of her methods. I would become a crazy person and likely alienate my family. This sounds reasonable to me – & what’s with the “right order” thing? Seriously? Right order? The idea is is if you start with your papers or books first, things that are harder to sort, that you’ll get frustrated and quit. Going in that order makes the process smoother. Oh, for me papers & books will be the hardest as I am a card-carrying bookaholic. So i might have to start with clothes, as I have no fashion sense, no sense of color combinations, and not a lot. I prefer classics, basic colors, everyday work & play clothes. But I’m older and don’t hold a paying job. But that’s what will work for me. Give me a beginning sense of success. To each her own!! We each know our Inner Goddess better than anyone else. And I believe we intuitively know how best to honor Her. Best wishes & loving thoughts to all. I had this question too actually. It’s because most people will find more attachment in old photo’s or some papers you know, miscellaneous items rather than items like clothing. Most people can go through their clothes and decide if they want to keep it, donate or throw it away easier than going through old pictures or cards and asking do I really want to throw this out. If that’s not really a problem I’m sure you can do what works best for you. I think it’s more of a guideline than a rule. I, too, could never clean my purse every day. I do see the wisdom of removing the receipts, candy wrappers, excess change daily. I am striving for that. It sounds like you, too, have figured out that sometimes we have to adjust things to figure out how they work best for us, & adapt from there. If your new organization has brought you peace & joy, it sounds like it worked. Thank you for sharing & caring. Yes, I agree with you: removing everything from her purse seems over the top to me too and I thought the advice about the shower items was not practical either but overall her ideas are spot on. 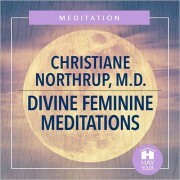 This book sounds gr8 for clearing the clutter with Grace & Ease. It’s a new perspective that creates a positive shift, luv the concept! My New Years resolution begins. You should hang the clothes that look ‘happier’ when hanged. I hanged my coats, cardigans, blouses, skirts and dresses. If you still wear that basic item, I guess it does spark joy. If the last time you wore it was a year ago, then throw it away. I really enjoyed this article and found it full of fascinating observations! I am in the final stages of de-cluttering as part of a massive post-divorce cleanup and disaster recovery effort, having recently split from a hoarder. I was particularly struck by the idea of “…Rather than focusing solely on throwing things away, which Ms. Kondo acknowledges only brings unhappiness…” but to touch every item and “read” the emotional reaction I get from it (“Does it spark joy?” or otherwise). It is indeed interesting to note the emotions associated with various things. I really like the idea of only keeping items that “spark joy” and ending up surrounded by things I love and cherish while lessening the pain of letting go of the items that have an emotional charge but I do not wish to keep by knowing that I am liberating their energy. I also found the passage addressing what our clutter symbolizes especially interesting as I realized that having our living room occupied by the ex’s mess was a manifestation of *me* being overshadowed and obscured to the world by the pathology of another. Similarly, it was good to have my suspicion validated that the long, dark hallway running the length of the northern border of our home (the “career” ba gua area from a feng shui perspective) being jammed full of clutter, making it a tunnel of confusion, was no small factor in my being “stuck” and confused in terms of my career and life path for so many years. The question of “why do I want to live clutter-free?” was a no-brainer for me since in my world, clutter and disorder IS stress (and nice to have confirmation that it actually raises cortisol levels)! Having to wade through a confused mass of items in order to do anything is horribly inefficient and frustrating; it leads to the accumulation of stagnant, toxic energy and is just counterproductive to anything good. All that I have heard so far about Marie Kondo’s book makes me want to get it and read it myself, especially since I lived in Japan/Tokyo for many years, so I am sure it will particularly resonate with me. where can those beautiful coat hangers be purchased that are on the web page? For those who are overwhelmed by the idea of doing it all at once…you can do each piece as close to or as far from the others as you need. I bought the book last January, started with my clothes in February (gave away SO many bags! ), and moved on to books. I couldn’t do them all at once; a lot of the books are my kids’, and I no longer am sure which ones. But I did all the bookshelves first and second floors, and donated 104 books to Better World Books. We have a bookdrop near my home, so I was able to thank each book as I dropped it in the slot. I moved on to papers, and then…it was June, and Daughter and her husband and toddler were here for the summer, and all thought of anything but day to day life went out the window. But now, it’s January, again. I have two bags of clothes in my once gorgeous closet; I’ve been losing weight, and taking things out of drawers and off hangers as they get too big. I realize that I have some clothes that are no longer sparking joy, but have been hanging onto them for their utility. But, really, do I really need that many pairs of underpants, even if they mean I have to do laundry less frequently? So, tonight, after I finish typing this, I’ll go and put the bags into a big bag, and the big bag in my car. I’ll weed out the blah items. I’ll get rid of the baggy sweaters, and stop wearing them because they’re warm…I have sweaters I love that fit, make me feel beautiful and are warm, besides! Thank you for this article, it’s gotten me inspired again! Once the clothes are done, which will take so little time, this time, I can start on the komodo. First category within that will be kitchen items. I can’t wait to see empty counters and bare spots in the cupboards. We’re getting a minor kitchen reno in a couple months, and this will be the perfect preparation! I am surprised how many commenters continue to talk about decluttering room by room, this is totally NOT the konmari method in the book. If you go by the categories she suggests, it helps you blast out of the box we are often in (helps us think outside the box, see our home in a different way to break free of the old habits that lead to repeat clutter). Please do try it her way, it makes a huge difference! The other big difference about her way is that it focuses not on “decluttering” but on deciding what to keep based on what you love. This is a very different mindset than “decluttering,” which is kind of a negative mindset and in many people may invoke feelings of shame or regret, etc. which discourage true cleansing and set you up for being all cluttered up again in the future. Don’t miss these two important points: decide by type of items, not by room; focus on what you love and keep, thank those things you are freeing to bring their energy to someone else. I have just read the book and was inspired. The not keeping spare buttons was a life changer for me. I kept spare buttons because I was told I ‘should’. With her method I did not have to keep what I would never use. It was freeing for me and allowed me to continue. I gave them to a seamstress whose whole face lit up. It has been enlightening to see what I have been ‘collecting’. I have found 37.50 in pennies, dimes and nickels. They were at the bottom of drawers, purses, coats, you name it. I just started putting them on the table when I found one. $37.50 are now rolled and in the bank. Also photos, on CD, in albums, etc. I just started putting them in my junk room. I had cleaned out the junk room so I had ‘new’ room to put in my photos. These are the last to do but sheesh, I have boxes and boxes of photos. Maybe next weekend….photos! I’ve been intrigued with getting thinner hangers. Do you have a brand or style that you recommend? Yes my goal is to have less in my closet. Even so I’d like to get matching hangers that help me best use my minimal closet space. Thanks! After I completed the clothes category I purchased all wood hangers. With less to hang it was a relatively inexpensive (purchased them at Marshalls that saved a lot too) and they bring me so much joy! Looking in my closet and having all the same wooden hangers makes me very happy and was more than worth it. I love Huggable Hangers! They are thinner, but they “grip” clothing so they do not slide off. They look nice as well. I buy thin flocked hangers in large quantity boxes at Bed Bath and Beyond (use the blue 20% off coupon!) 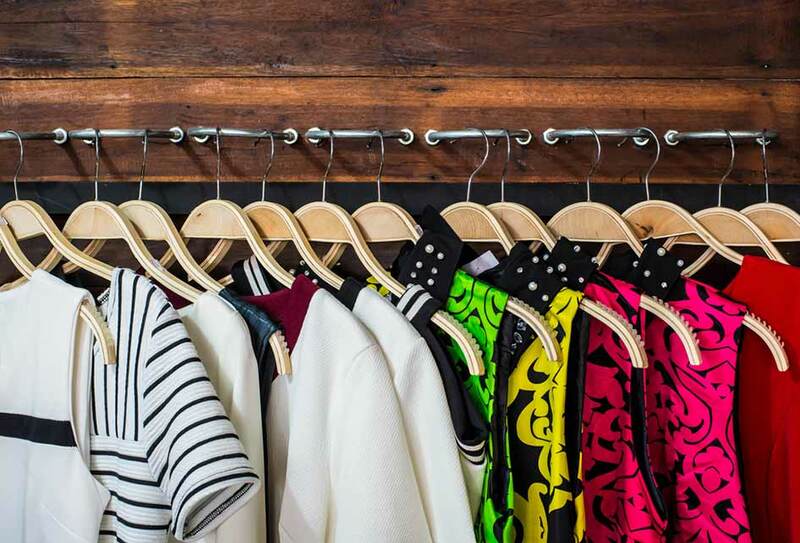 Your clothes are less crowded than when using wooden hangers and the price is the best I’ve seen, even over the ones on the tv shopping network…. These are wonderful ideas, however I am in the predicament of living with a darling hubby who is a hoarder and can’t bear to divest our home or garage etc of things that are “still good to use” (even if rubbish and full of holes!) or stuff that “might be useful one day.” Our whole house and outbuildings are full and impossible to keep clean and tidy. I think some people have a psychological addiction to stuff. Any ideas to get around this? Marie Kondo actually addresses this in her book and recommends to focus on your belongings. As your hubby sees the transformation in your spaces (and you), he’ll most likely jump on board and start addressing his possessions as well. As for his emotions, she also says “Don’t let your family see what you are discarding.” (Again, only YOUR stuff). This prevents them for taking the items on as their own clutter. She also does a great job of addressing the thought process of “still in good use” and “I might need this some day.” I highly recommend that you check out this book! The audio version was great, and well worth the listen. I’m a hoarder, child of hoarders, have him read the book. It’s helped me and everyone with OCD I’ve told about it. Breaks it down to a really simple “hold and release” step. Don’t know why it works so well for me, but I’ve been doing it for months and still going strong. Because there was so much stuff to go through it takes longer, but I haven’t missed anything I’ve let go (about a dumpster full and still going) and I’m much happier. Even lost five pounds. Love to hear if it helps your hubby. And if he doesn’t want to read the book, just keep going. Seems to rub off anyway! I decluttered my clothing today. Since 1989 I had only removed worn out clothes. I got rid of 70% and smile when I go in my closet. I moved my dresser into it so everything is in one place. 12 30 gallon bags, 30 or so garments in each, a lot of clothes that did not give me joy. I still have stuff in the closet that isn’t clothes but I didn’t want to get off track. I have a ton of hangers now. I want to purge my life of the “you could of ” or “you should of” and move on! I thought I needed a professional closet organizer to build me storage closet systems after I downsized from an organized walk-in closet to 2 single-rod double closets. Instead, after only a day, I am only using 1 of the closets, and the rest are neatly folded upright in my drawers where I can see at a glance what I have. It’s wonderful to open a drawer or closet and love everything I see. Going to continue with the rest of my belongings. I understand and you can only do what is possible. Just do your best. The method can be applied atleast in small part, perhaps with just your clothes/books and toiletries before the move? I have two small children and I think it’s ok to let their stuff move as is, you are not superwoman, and that’s ok. I moved my family that far in two car loads. It was so liberating and my new dwelling was so easy to keep clean. I only had space for things that I truly loved or were very functional. I’ve slowly begun to accumulate, and 3 years later I am reading Mari Kondo’s book and purging my space. One bite at a time, Jennifer. One bite at a time. I hope your move went well. It helped me to have a babysitter when I was home. She played with the kids while I cooked and did other things. If you can afford it, I really recommend it. Hang in there!! Some people would rather hire someone to cook and clean for them so they can spend time with their children. I hope you got there safely and clutter free. I am excited about starting the KonMari method and have completed the first item of clothing (tops). Am using her folding techniques but have found that my tee shirts and sweaters get quite wrinkled using this method though my drawers look very neat. Any hints on how to fold with fewer wrinkles? There is a good way. I bought the miracle fold laundry folder at bed bath and beyond and it’s a great help to fold shirts and t-shirts. Patricia, do a video search. There are several videos of Marie Kondo folding tee shirts and other items online. I love this article I cant wait to read more!!! I love this method. I’ll try it out. De cluttering is always a problem for me. I could visualize my home clutter free but I have to do the de cluttering, and exploring ways and means would help. Problem with me, I am a writer and works 40hrs/week as a nurse, and I garden too and love it, and so I am always tired to de clutter. And being a self proclaimed writer I have so many materials, both in hard copies and in my computer and I feel like papers and more papers are clouding so many space in my house. Being homeless makes for a clutter-free life 🙂 No method needed. 🙁 how are you doing? I started with my dresser first. I rolled the socks and folded underwear so I could see every colour. Then I moved to the next drawer and folded all my teeshirts upright, along with my capris. Then I did the next drawer with pjamas and comfy clothe, yoga etc. It is such a pleasure to open those drawers and see all items at a glance and it is so easy to choose what I am going to wear, After that I moved to my double door closet and removed everything and started choosing what I would keep. I love to open my closet and see it neat and clutter free. I feel so peaceful when choosing what I am going to wear. The feeling that my dresser and closet has given me has inspired me to work through the different areas in my home, it will take me a while but I am so looking forward to the magnification of that peaceful feeling throughout our home. Pretty good summary, but there are some serious errors. The writing of the vision is incorrect. It should be in great detail and there is no mention of “goddess” in anything by Marie Kondo. You visualize your home in detail, like the girl did who wanted to listen to classical music while sipping tea in her pink bedroom. Second, your step 3 is not part of KonMari. It’s not a bad idea, but it is not KonMari. There is no “ask why” in the book, no repeating it over and over, etc. Good for you, not part of KonMari. You forgot the part about greeting your house and thanking the things you are going to discard. The discards should be treated with respect and sent on their way. Last, one of my favorite things about KonMari: if done correctly, it only needs to be done once, and it will change your life. You will not rebound if you do it once completely and perfectly. KonMari is a festival. It is truly physically getting in touch with every single thing that sparks joy. Your house will hold everything, everything that sparks joy. You do not need to get rid of a joy sparker. No guilt about keeping something. Anyway, these are the things I think you missed. The rest, spot on. Writing about Konmari isn’t required to be a book report, though, so people can say whatever they like. And anyone who is inspired by others talking about the method should read the entire book for themselves before trying it. Yes the book does speak of asking “why” many times. Check page 38 of the book. Yes “asking why” is part of her method and, in fact, she tells us to do it several times before we are allowed to move on. Dodi, this method was discussed on Good Morning America last week with Dr. Northrup and the author. You shouldn’t criticize a person’s blog and their experience with a method that is quite a subjective experience. Instead, try to point out the positive points of the method and what positive experiences you had with the method. Too much negativity in this world as it is. Let’s be more positive and point out the positive side of things. I purchased Marie’s book and began sharing her method with my friends, many of whom started their own decluttering projects like mine. They also bought Maries’s book – I should get a commission (lol). I am even offering my services to help people adopt The KondoMari Method. It’s been a joy to have discovered this. I started with my bedroom, and that was great, but I have other things to do in life, and am overwhelmed with the sheer everything else-ness of the rest of life. My gmail inbox, for example. Who will declutter that? After Komono? And what about cd’s? I’m getting frazzled just thinking about it. There is also no mention of kitchens…and bathrooms… in the ‘correct order of categories’. I feel like there are categories coming out of the woodwork. Will I ever be done? Can I spend one afternoon a week doing KonMari and be truly done in 6 months? What really works? Feeling frazzled. Would like a guiding hand- not mere testimony to how good the method is. One step at a time. Pick a category at random, then do it. Apply the method. But only focus on one step at a time. It could take a long time, but the process is important. One step at a time. Kitchens and bathrooms are not mentioned per se because with her method, you do NOT do it by room, you do it by category of items. CDs and DVDs I would consider part of books. Cosmetics, linens, etc. would be part of Komono (which I admit is a little vague but I think is meant to be a catch-all category). Clothes first, ALL the clothes in the house (all YOURS at least), including stored clothes, clothes to mend/launder, coats, etc. – don’t make yourself crazy by trying for “tight” categories, broaden them! Do every bit of clothing first. Then all books/CDs/DVDs/record albums (yes I have many!). Documents and papers are my most difficult category as I am a writer and have many resources and inspirations to keep, all of which spark joy for my projects but which also cause a lot of clutter. I know there are ways to “digitize” many items (documents, papers, photographs, music) but I am not tech-savvy enough to figure this out in a hurry – anyone have some guidance on that? A simple way to ‘digitise’ is to take a photo on your phone or scan using a scanner app on your phone (something like this: https://play.google.com/store/apps/details?id=com.intsig.camscanner&hl=en). Then you can email it to yourself and have it stored on your computer or phone for when you need it. Music-wise, using a streaming service like spotify or google play means you have access to the worlds music at a click, with no storage whatsoever. I dumped all my CDs as I never use them anymore and it freed up a lot of space. The scanning and digitizing using Smartphones and all in one printers is a good idea but also storing your pictures in “the cloud” using apps like Evernote and Google Drive make everything readily accessible at a moments notice on any platform is helpful also. You have to want to do this. You can’t just make yourself do it. It doesn’t work that way. If you don’t make it a priority, is it really something you want to do? Everyone is busy and has lives, and families, and jobs, and this, and that. Also, Google ‘KonMari checklist’, and you’ll find plenty of lists that help to break down items (read- kimono not ‘mentioned’ in the book) that encompass your entire household into manageable pieces. I hope you found what you need to be happy! I love the idea of decluttering all at once. I feel like a six month window is totally realistic and I am already beginning to feel like a goddess! great summary of the book (which I loved!) But, left out one part that I found interesting which is after the de-cluttering expressing gratitude for the items in your life and what they do for you. She “thanks” the possessions (everyday) she uses for what they bring to her life. I think that makes us more mindful of what we do have and use. Karla, we in this country are not used to being grateful for utility. But think about how your life would be, if you needed to slice bread, and did NOT have a bread knife? When I first got a chef’s knife, I felt like I had never prepped food before! Now I understood the people on Food Network, and how beautifully they chopped vegetables, how easily their meats for stir fry became pieces that were just the right size. My chef’s knife DOES bring joy, because I know how it has made my cooking better and more inspired. A drill helps to build furniture that you wanted. Joyous, yes? I have just started decluttering. After raising four boys as a single mum I am finally making time to get rid of the clutter! Starting in my bedroom to create a beautiful and relaxing space and I am loving it. I am on a strict budget but my wardrobe is looking lovely already due to some gorgeous decorated shoe boxes I have purchased starting at just $4 each. I have a new spring in my step that hasn’t been there for a long time. Who knew that by purchasing a few pretty storage items it would inspire me to get moving. When I look in my wardrobe now I think “wow” what a gift I am giving to myself because it looks so lovely. Lots more to do, but I am excited! There are five categories in Marie Kondo’s method and you have listed only four here…the fifth is sentimental/mementos and it is the last. By the time you get to this last category, you have experience in identifying what sparks joy and your decision-making skills are honed. What is normally the most difficult category is left until the end for this reason. Enjoy the magic! I am a collage artist and all my art supply and thousands of my handpainted papers drive me crazy I don’t have space to store everything, but I feel I need all my handpainted papers for my work. It’s stressful but I don’t know what to do. Does anybody have any advice? Take photographs of all of it. You can store thousands of pictures on one little thumbdrive as opposed to trying to keep and those papers. I like to store my art supplies by medium (media? ), and have wire basket drawers with table tops on them that a friend gave me (I think she got them at ikea, but they may have them more expensive at Container Store, or look on Craigslist, free section!:-). I sort by kind of item and put them in a basket or box, with all or most of one medium in a drawer. A shelving or cubicle unit could be great too. As for the papers, a nice old dresser with relatively shallow drawers could be painted in a fun way and papers could be sorted by color and subject matter. Also finished or in progress work can be stored that way. I look forward to getting back to my art supplies! Need to make space to make art! I store cardstock in an expanding file, sorted by color. I become frustrated and blocked due to the mess of my art supplies, too! I am definitely going to check out this method! I’ve just picked up my copy from the library and plan to get started this weekend. Can’t wait to get it happening! I listened to the audio book. Then I bought the book. I’m overwhelmed at where to start. I’d have to take several weeks off to do this all at once…that’s not possible. I do not even KNOW where to start. Start with bras. Or socks. Set yourself up for success by choosing a category with little emotional attachment. I bet you can go through every sock you own in about 15 minutes. There are two tricks to sorting : Finding *everything* in one category. Tuning in to your feelings about items. It gets easier. All it is is a decision, Kate. Just start because that’s half of finishing! You read the book so you know where to start. Clothes. They can take an afternoon or a weekend, just depends on how much you have to go through. Just start. @ Kate or anyone else feeling overwhelmed at how long the process might take. I read Marie Kondo’s book 3 times in July-August and have thought since then that I needed to carve out a week to do my bedroom properly, pulling everything out, etc. which was the room I wanted to start with. I found myself alone for Thanksgiving, and decided it was the perfect time to start, with 4 solid days to make a dent. I started around 8 am Thanksgiving morning, and had literally finished my overflowing walk in closet by 1 pm., even cleaning the baseboards and floors before moving anything back in!!! It is immaculate now, and so wonderful to look at that I find myself standing in the doorway in admiration and joy! I had felt so daunted by the assumption that it would be a huge time investment, now I can’t believe how quickly it went once I got everything pulled out, and I took it one category at a time. By 2 pm I had all of my drawers emptied and by the time that was done, and most people were finishing their Thanksgiving feast, I had gone from 9 drawers to 5! I was swimming in my joy of tidiness, and I hadn’t even overeaten!! From there, I got up on black Friday and instead of shopping I started on my bathroom drawers and shelves — I know…. I’m a madwoman but I feel so happy, and my soul feels calmer seeing the results!!! Today, I may begin my next most daunting areas, my craft room/office. I feel confident now though that it wont be as hard or take as long as I had anticipated — I just need to get it started… Good luck and Enjoy your Journey! Love your declutter information. Decluttering thoughts for me go round and round in circles . Pick it up put it down do it later dont have time . sound familiiar ? I like the feel of this declutter method. Well i think thats a start . Its not a totally overwhelming feeling . One draw of clothes at a time till all the clothes are done then move on steps 1-7 feel like being accountable. Im going to look for the book too. the recipe is clear . What about moving into a new house? I just ordered this book and am really looking forward to it. 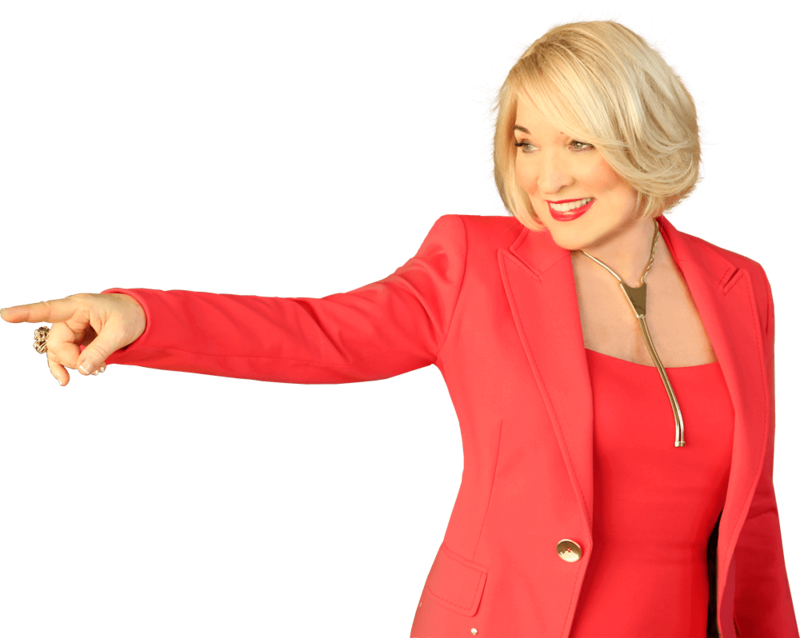 My business partner has been doing this process, and it has really revitalized her home and her life. I hope to be moving to a new home soon. Does this method address how to best approach moving into a new place to avoid cluttering it? Would love to hear from others about this. Miriam this is the perfect time to do it. Take NOTHING to your new home that doesn’t bring you joy!!! I moved from MA to DE almost 4 years ago. I took a year to clean, donate, and decide what I would take before putting my house up for sale. I decided to send my coffee mug collection and my pictures by UPS. I brought my stereo down on a trip earlier. I only kept what would fit into my small pickup truck. I had nothing else that I was attached to and have never regretted my decision. I thought I was done (and pretty good at) decluttering my bedroom. But for some reason, I still felt unhappy. I bought Marie Kondo’s book on Sunday and started discarding on Monday. I can’t believe how much more clothing, accessories, and books I removed from my bedroom! My walk in closet has a new lighter, peaceful energy. I find myself going into my closet when I need a break from discarding books. The brilliance is in removing everything and placing it on the floor. It is indeed the handling of the item that makes the difference. If it doesn’t spark joy, you won’t even care to make a place for it. This method is a total game changer for me. 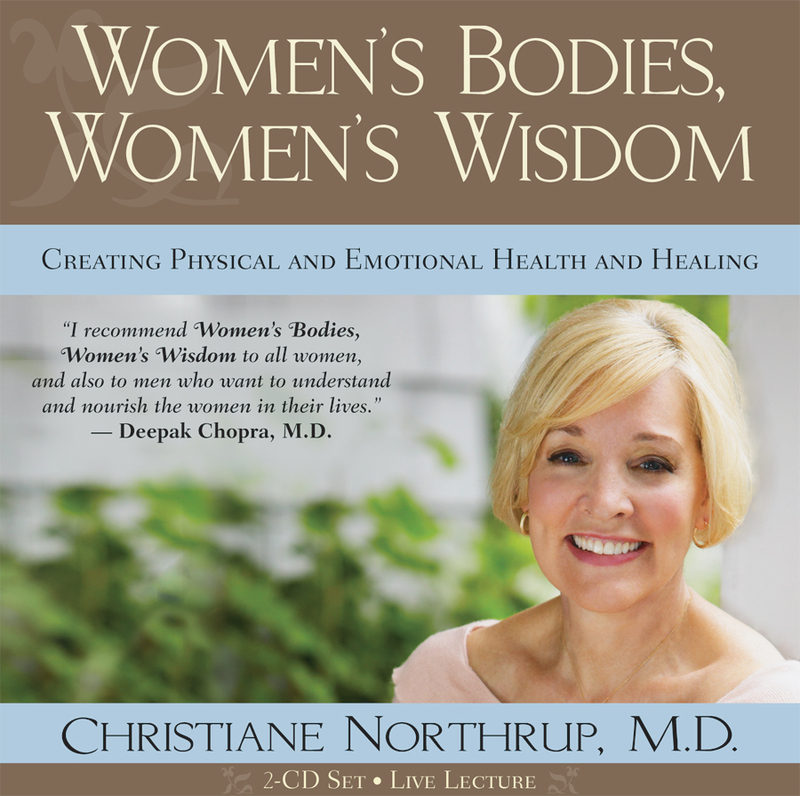 Thank you for mentioning it in your book, Dr. Northrup! I’m so grateful that I own this book. My clothes and books are done and today I’m working on papers. Her method works. It’s amazing how even papers (old clippings and letters) can inspire joy or sadness. Organizing is my passion. I have read books, blogs, watched u-tube videos etc. but never really was completely satisfied until I read this little book. Now I do not have one item in my home that I do not either love or need. Her take on this issue is different and inspiring! I find the Kon Mari method brilliant. It was not always easy in the beginning to get out of the practical head and into the joy of the heart. Kon Mari is truly life changing. Amazing, today at my lunch time I called my friend.. She talked about a book about cleaning and she was fascinated. And I was up for giving this book a try. After the conversation she sent me a link. After work I checked my mailbox, facebook,, and I saw this article. I htought this sounds familiar… and I relised this cannot be a coinsidence. Now I am reading an ebook adn I am soooooo excited. Thanks! This is a great book! Don’t just read this blog, go out and buy the book – very worth it! It’s not just yet another book on tidying, organizing and storing but about creating a truly spiritual space in which to live and grow. You’ll find yourself applying it to your time, relationships and all other parts of your life too. Marie doesn’t expect you to do this all in one day – she says it can take around 6 months which is a good amount of time to get used to letting go and really keeping only those things which bring you joy. An example: I have a panda toy bear sitting on my shelf that was bought 20+ years ago when I was pregnant with a much-wanted baby. Sadly I lost the baby but have kept the bear as a memento. I realize that when I look at it and hold it, it makes me sad. I think I may let it go to a baby who has made it into this life and who will find joy in it now. I still have my good memories of my almost-little-one. While I love before and after pictures, that one looks a little bit staged and only a tiny part of the kitchen. Can we see the rest of the kitchen please. I used this method on my clothes – and passed on three huge yard bags full. My closet is lighter – and I am lighter. I’ve finally started losing weight. People have even commented that I “feel” lighter to them. Next stop, books! This was a great article, and you have inspired me to buy this book. I have recently gone through a very interesting exercise of decluttering myself. My husband and I made a huge life changing decision, and moved from the East Coast of the US to the Kingdom of Saudi Arabia ( this was based on a fabulous career opportunity for my husband) . I moved from a large American home, to a teeny tiny 2 bedroom home on a large compound. Initially, I was very distressed about what could, should, and would be moved. Ultimately, I asked myself over and over, “Do I love this”? 6 months after my U.S. pack out I finally received my things and for the most part I’m super happy with what has been moved. I’ve been unpacking and placing things with purpose and surprisingly this has brought me joy! Although, it’s early stages, and I have a ways to go, I think my home reflects the things I love. This book is going to be just the thing I need to get me over the finish line. This is a great summary about the book and the KonMari method. My family and I are becoming more and more comfy and joyful in our decluttering home. Using the KonMari Method, my clothing is now delightfully organized and easy to maintain. Keeping just the pieces I love inspires satisfaction and joy. The rest of the house is still in the works, but it’s a very therapeutic, very intimate process. LOVE, LOVE this stuff!!! I am now reading At Home with Madame Chic: Becoming a Connoisseur of Daily Life. It is another inspiring book. I love your before and after photo of your kitchen counter. It just makes you happy to have clear counter space. And I took pretty much the same route as you did – starting with FlyLady so many years ago and then KonMari. I NEVER thought I would actually ENJOY folding my clothes – much less my undies! And the most amazing feeling takes over when there is that space and tidyiness… LOVE it! You are oh so generous! I’ve been reading Marie Kondo’s book since you mentioned it in your radio show. It has changed the way I perceive the objects we all have around us. What about pur handbags? Love the idea of letting them rest at night after emtying them. It makes so much sense! Thanks for sharing this post with autobiographical photos even! I will be flying to London in September because I am so looking forward to meeting you in person. Lots of love, dear Dr Northrup. I have read Marie Kondo’s book and while I found it interesting, I could not embrace her method entirely. I don’t have a big problem with clutter, though, so *maybe* it works better for those who do. I tend to de-clutter as I go, or when I’m cleaning. It’s a HUGE commitment to use her method and would take a lot of time initially. She is completely against clearing a bit at a time, which I think would be actually easier for those who have a big clutter problem. To do it all at once could trigger a major healing and psychological crisis. People have to be ready to let go of their clutter, as so many identify with it. I love the idea of checking each item to see if it sparks joy, but this is not new. 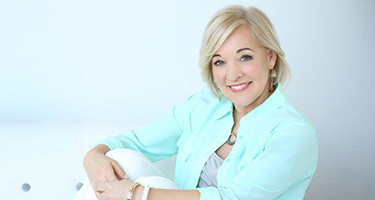 Denise Linn and many other Feng Shui experts say – If you don’t love it or use it, get rid of it! I also like her way of folding socks, and storing clothing in drawers. However, I tried her method with my multitude of tank tops and it made them much more wrinkled. What I am really intrigued by is the photo at the top of this blog! What a great idea for a closet! Brilliant! I am sorry for all t he typo’s. so very early in the morning, My fingers are not working yet. The job of clearing the clutter has grown to the point that I will do just about anything to avoid the task. 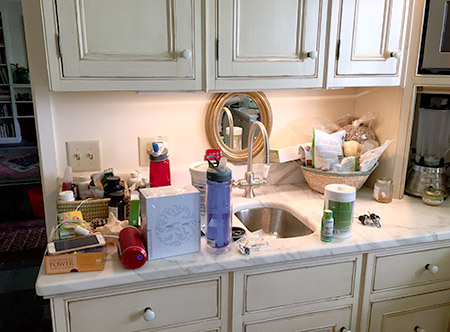 I see the before and after pictures of your kitchen counter but where did the items go? Did you toss them all? Put them in a cabinet? Relocate them? Donate them? Read the book. Really. You can get it on Amazon for about $10. You can read it in an evening. You cannot organize clutter. Looks so inviting, practical and I can identify with a lot of things mentioned.